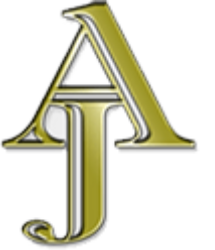 AJs provides an active recreational programme for a group of up to six people. Participants are mainly students who are in the transition from school process. The programme provides challenging active recreational activities for one day a week in blocks coinciding with the four school terms. The activities will be challenging but achievable for the participants. The aim of the programme is for participants to gain an increase in self-esteem, improved teamwork skills and increased motivation and confidence to try new tasks. We believe these are all important life skills that will assist them as they transition from the school environment. This programme will be co-ordinated by two AJs Day Recreation staff . Both staff have a number of year’s experience supporting people with an intellectual disability. AJs also co-opts professional experts for specific activity blocks. · Wayne Keen of Keen Adventures will direct the Canoeing block. This usually starts midway through the term. This part of the programme involves some team building exercises and the start of the individual goal setting. Each person’s goals will adapt and evolve as the year progresses. Starting with an introduction with the canoes and familiarisation with equipment and safety requirements. The group will learn correct paddling techniques. We will then progress from flat water to moving water, and then onto a river journey. This block will provide a good challenge for all. This will be run by Wayne Keen from Keen Adventures. Predominately using the walls at the YMCA, but with outdoor climbs scheduled if available. The group will learn knots, belaying, climbing techniques, and the importance of working as part of a team, where each person has a role to fulfil for the safety and comfort of all. Sessions run by YMCA instructors. This block will work towards an overnight camp, with all aspects leading to a successful camp being covered e.g. planning and preparation, tent pitching, Bivouac building, camp cooking.